Manchester has a lot up its sleeve from murals to graffiti, sanctums, alleys, relics, modern skylines, antique architecture, vintage signage, hip and happening people; and numerous breweries and watering holes! Not only for urban sketching, it's an all-around pit stop for just about anything! The unofficial capital of the north, it’s one of the nation’s largest cities and a hotbed for culture and the arts. Manchester is a very savvy, well-connected city with an airport that is strategically the only gateway to Northern England. Whether it’s online, offline or on any device, all flight information can be accessed via the web or smartphones. The efficiency of the transport system will get you to your hotel in no time at all. From the airport, trains to the city run in intervals of 10 minutes into Piccadilly station. The average travel time is about 20 minutes - sweet! Just enough for a good train sketch to clock your arrival. And of course, the taxis are always there for an even quicker drive to the city! It’s also a breeze to get to Manchester from other UK cities. Direct trips from Manchester to London run conveniently every 20 minutes with Virgin Trains. Local rail services connect Manchester Airport with Greater Manchester districts and the city centre. The main train stations are Deansgate, Piccadilly, Oxford Road and Victoria. For all trains times and fares, visit www.nationalrail.co.uk or call +44 (0)8457 484950. For a scenic fast ride, the tram is a fantastic way to go in and around Manchester. The Metrolink connects all major railway stations and are as frequent to indulge your spontaneous whims! Just go out and catch one without a timetable. They run from early morning to late at night and tickets can be purchased conveniently at the platform. Get their free smartphone app or use the Metrolink map to plan your journey ahead. For more information go to metrolink.co.uk or call Traveline on +44 (0)871 200 2233. Buses offer an ever-reliant comprehensive coverage of the city. There are free shuttle buses that take you to major train stations, shopping and business destinations. National Express has coaches from major UK cities to Manchester. An excellent place to explore by foot, Manchester is peppered with pedestrian-only areas. That’s really good news for sketchers as it is a pretty safe, vehicle-free place to be out and about on the roads. Traversing by foot along main central areas from one end to the other can easily be around 20 minutes. It's a gastronomic delight to explore the city by the gut! There are excellent choices in terms of food, so be ready to walk and sketch after you indulge :) Beyond all that daytime sketching adventure, the breweries will be open until late to catch up on the sketching tales of the day and the usual drink and draw! The brews to choose from can be tough like a really big palette of watercolours. The weather usually averages from 18-20°C (64-68°F) during the day and about 10-13°C (50-55°F) in the evenings. The probability of rain is always there, so an umbrella is always a handy thing to have! Now with the weather considered for packing clothes and necessities along with your sketch gear, where to stay during the Symposium is the only thing left to sort. We are so pleased to announce that for this year's Symposium we have a site specifically for accommodations, in partnership with VisitManchester.com. Use this link to book accommodation for this event. 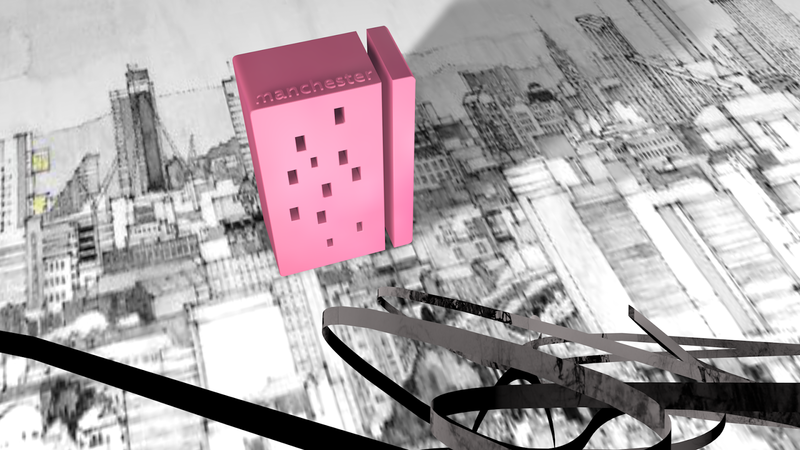 See this post for more information about the accommodation site from Visit Manchester. You can also compare hostel rates and book accommodation at Hostelz.com.